At St. Peters we follow the National Curriculum for KS1 and the Early Years Foundation Stage Curriculum for Reception. We aim to provide a broad, balanced, exciting and effective curriculum, designed to meet the needs of all learners. 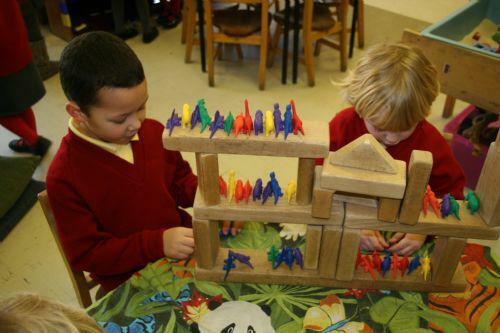 which provides an inviting and stimulating environment where play, exploration and practical activities form a foundation for all learning. The children are helped to learn, play together, relate to each other, share, listen and cooperate. They are given opportunities to learn through access to sand and water play, books, paint and craft materials, computers, puzzle, construction kits, small world play and outdoor equipment. 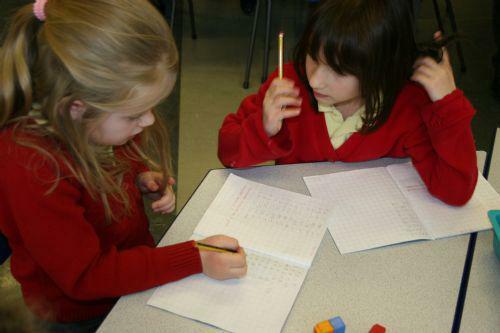 Structured activities are planned to develop early reading, writing and numeracy skills. independently and to use number to solve written and practical problems. National Curriculum: English, Mathematics, Religious Education, Science, History, Geography, Design and Technology, Music, Art, Physical Education, ICT and PSHCE. The curriculum is planned so that the children are given opportunities to develop skills and acquire knowledge in each curriculum area, with subjects combined together in a topic approach wherever possible and at other times taught as separate subjects. We try to involve children in educational day trips to provide them with first hand experiences to extend and enrich what they are learning about in the classroom. As well as trips out of school, we also invite various groups into school to support the children’s learning, such as drama groups, storytellers, artists and musicians.